In 1999, Eifel 65 released the greatest workout song known to mankind. With an addictive-as-crack-cocaine electronic flourish and seemingly innocuous lyrics that cut like hot steel to the core of humanity, Eifel 65’s I’m Blue defined a generation. He’s blue. His house is blue. His girlfriend is blue. And so is the socio-economic climate of our culture. If you work out to Eifel 65’s I’m Blue, science has proven you will last longer, lift harder, and channel a deeper endurance than you have ever known. It’s like Viagra for your body. Which, ironically, is blue. Now you see the layers of this song. 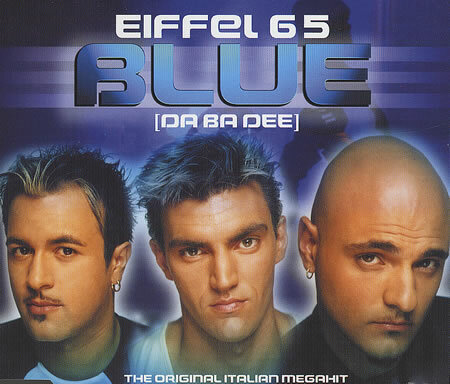 Eifel 65 never released another song as popular as Eifel 65’s I’m Blue. As far as I know, they never released another song, period. They didn’t have to. Eifel 65’s I’m Blue will pay them royalties for the rest of their lives. Royalties of the heart. Which most people agree is way better than money. Once, when I was young, I listened to Eifel 65’s I’m Blue on repeat for seven hours while playing Tony Hawk 2. I don’t remember a lot about that night, but when I came to my senses in the morning, I realized I had set every Tony Hawk record ever, upon which my PlayStation exploded because it could not handle the high scores and sheer amount of 720s. If Eifel 65 held a concert, where all they did was lip-sync badly and dance awkwardly to Eifel 65’s I’m Blue on repeat for three hours, I would sell out the stadium myself by buying every ticket on sale, and then burn them in huge bonfire outside my house while playing Eifel 65’s I’m Blue so that I’m the only one who could witness the majesty of their show. If Eifel 65 changed their name to Eifel 66 and released a follow-up song call Eifel 66’s I’m Red, I would sent a legion of falcons to hunt them, because it wouldn’t be Eifel 65’s I’m Blue, and therefore, it would be s***, and f*** them. Admit it; even just reading the first line of the song caused your heart to palpitate and your brow to form a few droplets of sweat. You already want to work out. Probably lift. 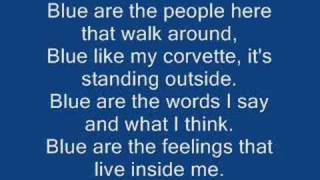 And that’s why Eifel 65’s I’m Blue is the best song for every situation ever. Graduation? Eifel 65’s I’m Blue. Hanukah? Eifel 65’s I’m Blue. Funeral wake? Kansas’ Dust in the Wind, followed promptly by Eifel 65’s I’m Blue. Do I care that I spelled the name of their band wrong this entire time? No. Play me out, lyrics. …I worry about you sometimes. Right? You can argue it. You can ridicule it. You can scoff at it. But you cannot DENY IT’S POWER. 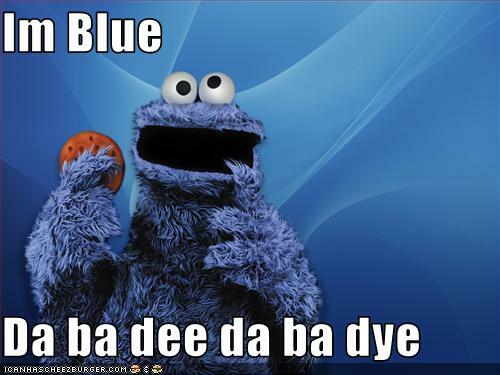 According to NPR, historians have finally tracked down the missing movement of Schubert’s Unfinished Symphony and it was Eiffel 65’s “I’m Blue.” True story. Oh no, totally. I learned that and knew I had to write this piece in response. And I’m going to have this song stuck in my head for the rest of the week. Da be de dabba di. Or whatever. My evil plot is hatching before my eyes. Ha ha ha ba dee ha ba di ha. The effort:payoff ratio skyrocketed for this song. Err… I mean payoff:effort ratio. Whoops. You’re right. They never were as truly appreciated as they should have been. For what it’s worth, and you can choose to believe this or not, but I had no idea this song was in that movie. Haven’t seen it yet. It’s just some serious glitch in the matrix shenanigans over here. If I wasn’t going to see IM 3 before, I would stay up all night in the freezing cold to watch it now. And then record a bootleg, isolate the portion with that song in it, and play it on endless loop. I had a perfect moment with this song and Iron Man 3. I had a chance to see it before opening on Wednesday with the rest of the theatre crew I work with. When this song came on, I and several other over 20-somethings near me instantly began singing along. A quick glance at the majority of our crew (ranging from 16 to 19), however, revealed a stunning ignorance of the song’s glories. I would have given my left arm to be there and join in the festivities. Damn. I am always on the lookout for extra left arms too! What are the chances Blue plays in The Great Gatsby as well? I have a private premiere for that too! Chances are high. I’m Blue really evokes the 1950’s. I truly admire your conviction, and your words carry such strength, but I still hate this song. And that image of the group makes me want to punch babies. And I wanted to punch Robert Downey Jr. upon hearing the song again. Sorry for the dissent, but that’s how it is. I apologize for cutting in on this comment. Cary, you have such a way with words. This is why I ❤ you so and your humor. But wow, that's a really strong response to a song if I ever saw one. To be fair, that picture should make anyone want to punch babies. It’s a baby-puncher. It took me 5 days to reply because I’ve driven to Flagstaff, listened to “Blue (whatever)” the whole way, and now I’m ready to punch you. P. S. Not true, but I’m confident it’s what would happen if I followed your thoughtful suggestion.